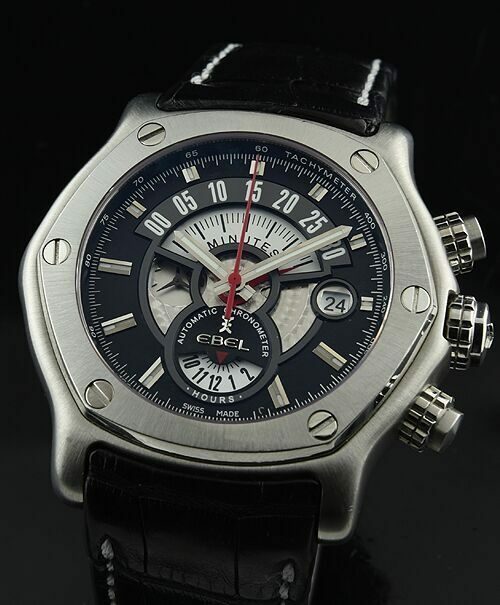 This is a massive and cool 2011 EBEL TEKTON CHRONOGRAPH in stainless steel, measuring 48mm. across and 15mm. thick. I love the contrasting black dial with white accents and a pop of red with the chrono hand. “Tekton”-translated form Greek means “architect”. Ebel restored Villa Turgue which was designed and completed by Le Corbusier in 1917 and this watch reflects upon the companies’ affinity to architectural masterpieces. I do like how the hour and minute chronograph registers appear in the apertures-a departure from the regular chronograph. Further, this automatic winding caliber 139 movement is an IN-HOUSE EBEL created movement, adding further desire to the collector. Both front and back crystals are sapphire. 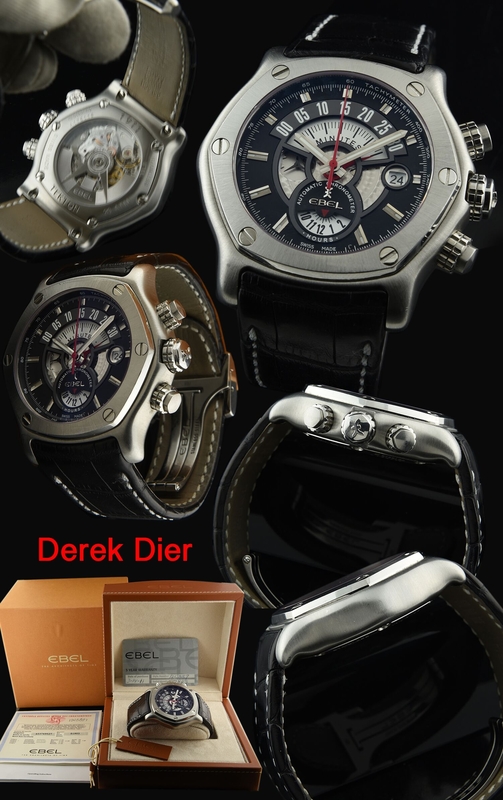 This watch comes complete with box and papers and looks essentially close to new-very gently worn. Compare this price…we are WAY under the comparables anywhere on the net!